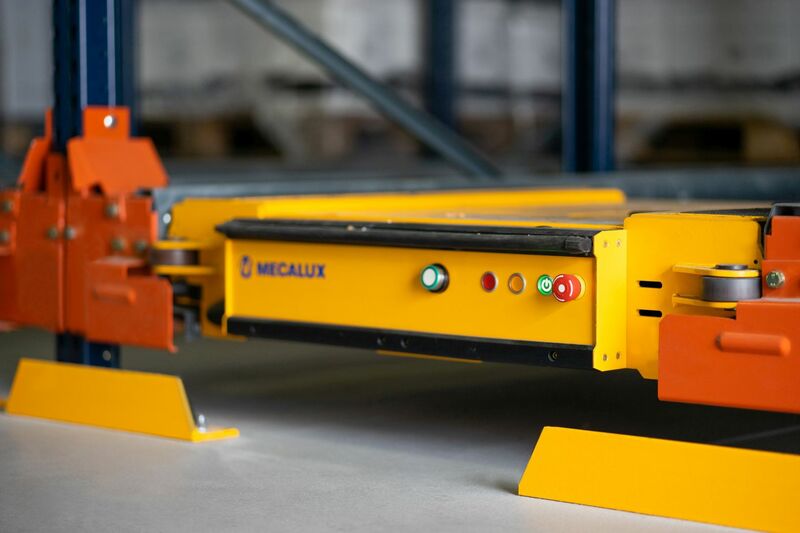 Mecalux is equipping Nicopan’s new logistics centre with the semi-automatic Pallet Shuttle system and the Easy WMS warehouse management system (WMS). Nicopan manufactures and distributes pastries and baked products, and is based in Granada (Spain). The warehouse will have a single user interface to run both the WMS and the Pallet Shuttle system. Two for finished products from the manufacturing centre. One for cardboard boxes and packaging. The five chambers will be equipped with blocks of racks fitted with Mecalux’s semi-automatic Pallet Shuttle system. The dimensions of the racks will be adapted to those of the chambers, so they will range between five and thirteen pallets in depth. This storage solution includes a shuttle that moves the pallets from the first position on the racks to the first open location in the channels. Operators will be equipped with a Wi-Fi enabled tablet from which they can operate any shuttle in the installation and control the WMS. Easy WMS guides the operators at all times by displaying the movements they must carry out on the tablet. In addition to carrying out the storage tasks using the Pallet Shuttle, this software incorporates several functionalities, such as the option to easily modify the distribution of the warehouse, to check the status of the shuttles, manage the goods in accordance with the FIFO or LIFO principles, and even manage users and authorised personnel. Nicopan was created in 2014 from a family business founded in the 1960s. As well as bread, the factory makes other pastry and bread products.